In 1985, Sergei Gregoriev, a Soviet colonel, wants to force his nation to reform, so he leaks secret information to the West. He picks an unlikely contact, a Pierre Froment, French nebbish in the diplomatic corps. Gregoriev keeps a lot of balls in the air - a marriage, a teen son he's trying to bond with, a mistress who's a colleague at work; his tradecraft is equally reckless. Meanwhile, Froment keeps his spy work secret from his Russian wife, and Mitterrand uses Gregoriev's information to make France indispensable to Reagan and his government. When Gregoriev leaks a list of key Soviet moles and spies, Gorbachev is left without secret intelligence. Will Gregoriev get what he wants? Taglines: Secrets have the power to change the course of history. 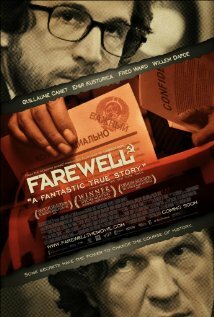 Alexander Avdeev (Russian ambassador in France who became Russian Culture Minister and who had been expelled from France in 1983 because of Farewell) blocked most Russian actors to play in this movie, including Sergey Makovetskiy and Nikita Mikhalkov, because he did not want to back a movie about a Russian traitor. 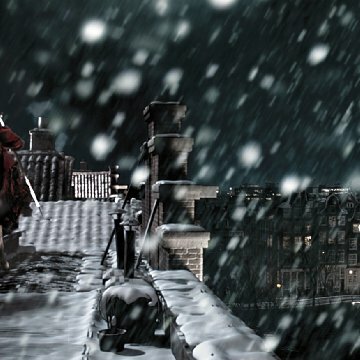 He also blocked authorizations to film in Moscow, while most of the plot takes place in Moscow. Christian Carion had to pretend to film a Coca Cola advertisement for the few images of the city. Anachronisms: In a scene identified as taking place in April 1981, Grigoriev's son listens to the Queen/David Bowie song "Under Pressure." The song was not recorded until July 1981, released in October 1981. A few months ago, I was reading a biography about the French President, François Mitterand and it discussed this Farewell case. As Mitterand had known about this, you can be sure this was a highly top secret file. But I can't remember what really happens so I was very eager to see this movie. In addition, the cold war time was my childhood and teen years, and as "Watchmen" did earlier, those movies bring now, nostalgia. Actually, it was an old colleague of mine who thinks to this movie and we left the theater totally pleased. I really like French cinema when it doesn't forget what cinema is, that is to say: pictures moving with sound to tell a story! Usually, French movies are only speeches with no camera moves and silence, always telling about "old" France or failed relationships! 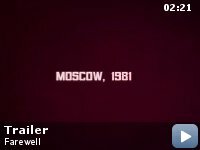 Here, since the beautiful credits, you understand that it will be a great movie and what it's about: CCCP vs. USA. Communism vs. Capitalism. As it's involved spies and moles, this conflict draws on the blood on common, "little" people, not the delusion of "James Bond". It all starts with the courage and bravery of individual people for whom beliefs, truth, justice, liberty are as essential as everything else (familial values, job fame, material life,...). Thus, becoming spy is per se dangerous for one's own life but it threatens all that you can have built in your life, especially family. 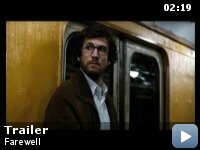 This danger is depicted with great talent in the movie. Choices are hard and nothing comes easily. In addition to spy life, this movie offers also deep thoughts about married life, and parenthood. The big adversary there isn't ideology but time. Kids grown up, love flame can be extinguished. You got to be cautious, even more than for your spy business. The infidelity, cheating times in the movie are funny, because they seem so far away for all this political war and yet, they act the same! But, to be good, a movie needs, beyond ideas, people and here, every one delivers: I didn't know so far the director, Caron as a director but he deserves to be recognized: He has been able to change scope every time (From White House to bench talking about poetry) and he is imaginative: I really liked the sequences of driving, between "Duel" and De Palma, and the end credits. I don't know if the locations are indeed Russian but you really got the feel of a socialist republic and the 80's: Walkman, Pink-Floyd, Queen and 8mm movies! My father had the same hobby than Farewell and as his son, my brother and I can be seen running on the wall! A very moving moment for me. The cast is greatly rich with exceptional guest-stars: I remember Ingeborha Dapkounaite from my Russian period. Willem Dafoe is always a (machiavelic) presence in whatever he does. It's funny to see "Hutch" and the participation from Gorby and Mitterand, because they look very much like the real ones. From my point of view, Reagan is too young and energetic but I agree with his pictorial as a cowboy, past actor because the above-mentioned book about Mitterand says the same. And he was also a funny movie critic: just read the poster of this movie! Now, for our pair of spies, Canet is a good choice because the part needed a low profile, not big mouth actor, which he is. And Kusturica is truly an "Emir", AMAZING! He shows so much humanity within his gruff exterior. I really hope that this movie will be attended by big crowds and wins a lot of awards (especially for Emir) because their success would be the long-awaited homage to the real people in this story! Definitively, a reference in spy movie!